Learn how The ONIX Corporation’s dehydration systems serve a number of agriculture industrial recycle their excess apple pomace. Apple pomace is the solid remains of apples after they have been milled and pressed for apple puree, apple juice, or cider. Apple pomace contains the peel, flesh, stem, core, seeds, and some juice residues. Apple pomace has a wide variety of uses. Some of these include fuel, direct burning, gasification, anaerobic digestion, pectin production, citric acid production, fiber extraction, and livestock feed. Some of the food that it can make includes pomace jam, sauce, and confectionary products. 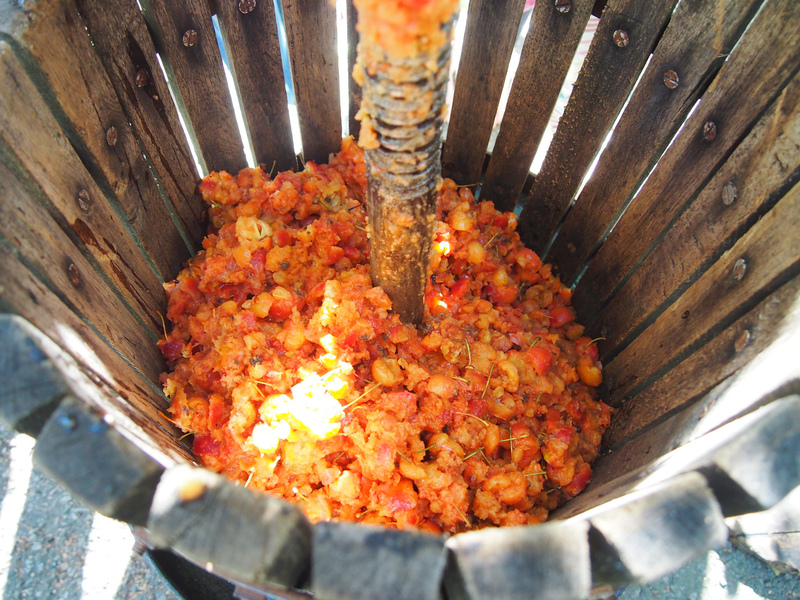 Traditionally, apple pomace was used, and is still used, to feed livestock as a way to get rid of the co-product after gathering the juice for its original purpose. There is an abundance of apple pomace after processing and is at risk for spoiling. Thus, it is often dehydrated for preservation purposes. The ONIX Corporation’s Rotary Drum Dryers have the ability to help with this process. Apples are the second most harvested fruit in the world. There is a great deal of uses for apples other than harvesting the fruit straight from the tree to eat. Out of all the apples used nearly 25% of apples are processed for its juice or cider with apple pomace being the co-product of that process. In 2011 alone, it was estimated that 16 million tons of fresh apple pomace was produced. It’s usually a seasonal product that is primarily available during apple harvest season. The rotary drum dryers manufactured by The ONIX Corporation have the ability to not only help with the drying process of apple pomace, but make it more efficient. We have the ability to create apple pomace processing systems so that we can dry, mill, cool, pellet, store, bag, and ship a variety of excess product that your company may not know what to do with. We combine our dryer technology and that of our material handling to create the best system and solution for your needs. Since Apple pomace has a variety of uses, we can create system that dries, mills, bags, or pellets it depending on your needs. If you are looking for a solution to a problem that you think The ONIX Corporation may be able to help you with, please don’t hesitate to look further into our Rotary Drum Dryer and Material Handling Systems Technology. Learn more about our Rotary Drum Drying Systems and how they can help with processing and drying apple pomace.